£1200/table of 10 includin﻿g all be﻿er, wine and soft for the night. On 25 October The Royal British Legion Young Professionals Branch 'The Poppy Rocks Ball' returns. This year, The Poppy Rocks Ball will be hosted at the prestigious HAC in the City of London. 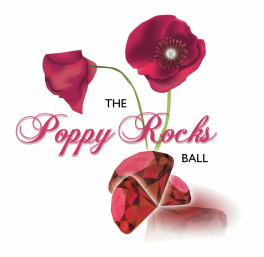 The Poppy Rocks Ball is a dinner, dance and auction for 320 people to raise funds and awareness of the charity. The Young Professionals Branch was set up to educate and encourage 18-40 year olds of the work The Royal British Legion does and how they can help. The Royal British Legion provides help, support, comradeship and representation of our Armed Forces. Their work is vital in helping serving members, veterans as well as their families and dependents. The Poppy Rocks Ball starts with a drinks reception at 7.15pm and carriages at 1.30am. Dress code is ‘Black Tie with a Poppy’. Mess dress and service uniform is also encouraged. Tickets are bought as part of a table of 10 and include drinks reception, 3 course dinner, beer, wine and soft throughout the evening and top entertainment. The Poppy Rocks Ball committee takes no fee for their time and all profit made goes directly to the Poppy Appeal. The Poppy Rocks Ball 2014! We raised a staggering £16,732.80 in 2013 which we were thrilled about. The committe: Sophie Orr, Poppy Beamish, Briony Peters, Sarah Atkinson.